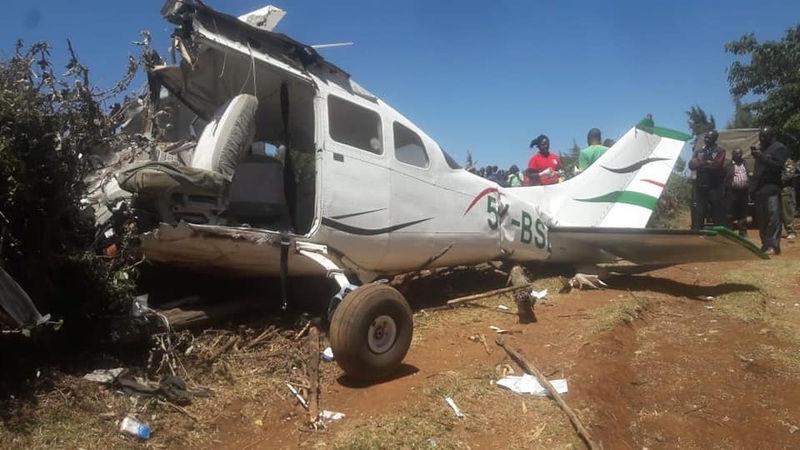 Wednesday February 13, 2019 - It is another sad day for Kenyans after a plane crashed in Makutano Forest in Londiani, Kericho County. All the 5 people on board the plane perished in the deadly crash that occurred on Wednesday morning. Confirming the incident, Rift Valley Police Commander, Edward Mwamburi, disclosed that police and rescue teams were headed to the scene. First responders reported that five people were in the light aircraft. Police Airwing Commander, Rodgers Mbithi, told journalists that all the occupants had succumbed in the crash. The plane reportedly developed a mechanical problem before hitting a tree and crashing to the ground. During the crash in Londiani, residents gathered at the scene to try to save the injured but they weren't successful.